Across the adult population this means brands need to respond to 463.5 million contacts every month, and the figure is rising. 88 percent of those surveyed said they now contact companies more or the same number of times as five years ago – with 16 percent getting in touch more than twice as often. Increasingly, consumers are happy to embrace self-service channels where they can find their own answers, without needing to contact brands through email, the telephone, chat or social media. 83 percent already use or are willing to use web self-service systems, which analyse queries and deliver automatic instant answers on a company website, while over half (54 percent) would use intelligent voice assistants, such as Amazon’s Alexa, Google Home and Siri from Apple to gain information. 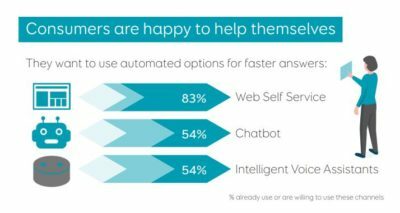 64 percent also want to use automated, artificial intelligence-powered chatbots. 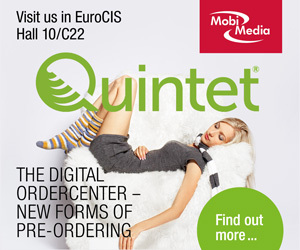 Demonstrating the multichannel nature of today’s customer experience, on average each UK consumer used email for 27 percent of their interactions by brands, followed by web self-service, telephone and social media (17 percent) each, with 11 percent of contacts through chat and chatbots respectively. 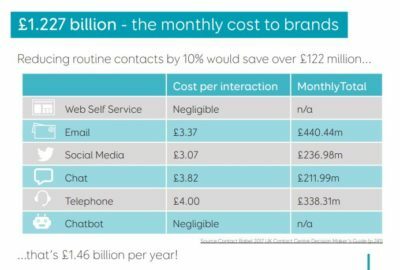 “Reducing the number of contacts by 10 percent would save over £122 million – enabling companies to focus resources where they are needed most. Our research shows that consumers are open to embracing new AI-powered technologies such as voice assistants and chatbots, providing an opportunity to improve the experience and reduce costs at the same time,” added Olivier Njamfa.